By far the most common occurrence we as Exhibition Service Contractors deal with almost daily is “missing freight”. Although 99.9% of the time, it is a service failure on the part of the freight carrier, that’s not how these situations unfold. Usually it’s lots of blaring accusatorial diatribes thrown at the Exhibitor Services staff and then it seems to get progressively louder as the exhibitor makes their way through verbally eviscerating everyone including often times me…the senior manager on duty for the event. The most challenging part for the General Service contractor is tamping down the situation to a cool, calm conversation; it’s a solvable problem if you are prepared as an exhibitor…it’s a bit tricky when you don’t even have the simple details that will help rapidly resolve this scenario. If you have the shipping information, (shipper, origin address, destination, piece count, weights, shipment description, tracking #), you can immediately get assistance from your freight carrier. Without the tracking number, you’re stuck in park. Not only is the tracking number vital & essential, almost as equally important would be the following details which will enable you to determine what is missing (and …..if it’s essential or non essential material). The details for every shipment to a convention should be required information that the 1st on- site corporate staff member as well as a others in the exhibiting team should have. Number of pieces shipped, how many BOL’s , shipping origin & consignment destinations, type of containers (crate, fiber case, anvil case, crate , carton , etc) are details that will allow freight companies to look for shipments that are MIA or astray in the terminal or have been separated from their shipping documents. I can’t state it enough..…you need to have the BOL’s with tracking numbers for ALL your shipments. Without this tracking detail it wastes precious time and completely hamstrings the ability to quickly resolve the issue. From my experience, this is the number 1 fail. 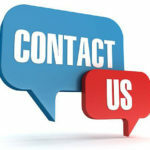 If you have a logistics department, you should have the phone numbers for staff that you get in contact 24/7 with your freight carriers or else just realize the ball is in your hands and you can’t punt it away!! The key ingredient is to have complete manifests of what was shipped and what is packed in each shipping container. Knowing exactly what is missing will help you replace things. Just knowing things are missing, is like a scavenger hunt with no clues given. Missing product – Know your nearest local customer or retailer (with complete contact info) that carries your products. Know your closest local distribution center that has inventory of products you are displaying at this exhibition. Missing display or graphics– there are always options for alternative displays. Start with the official show General Service Contractor and see what they can whip up on short notice. Las Vegas Expo has done some spectacular last minute replacement displays for companies …from basic to elaborate. You will have options that are only limited by your budget and willingness to dent that a bit. Beside the official exposition service contractor, there are always other options. In cities like Las Vegas, there are a plethora of Display houses that you can contact for last minute help. You must travel with E- files of your exhibits’ large format graphics. This will allow for emergency reproduction of any of your Brand images. Missing collateral materials – Are they essential? Do you have a back-up plan to have them replaced via overnight shipping? Is it something you have a thumb drive or portable hard drive that can be reprinted? Discussing and analyzing these things in advance will give you a recovery road map if printed materials are lost. Staff travel interruption – In this age where everyone who travels for business has encountered some travel delays, mishaps or complete nightmares, it is prudent to have contingencies for Staff travel interruptions or delays. Be prepared with all co-worker travel itineraries, flight and hotel details. When the going gets tough in the mean aisles of the convention center, it’s time to rally the team and have everyone working together on the solutions. Having this information will prevent room cancellations from late inbound flights and helps senior management know that all staff is accounted for and being actively responsible for each other’s well being. 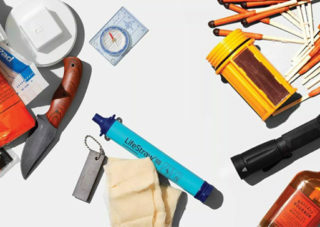 Like a good scout, you can never be too prepared. Some of the vital, essential, items you should “carry with you” are phone numbers of key company personnel that can assist with transportation logistics 24/7. Where to start – Have you been befriended the General Contractor? Go the Exhibitor Service Center and ask for assistance. 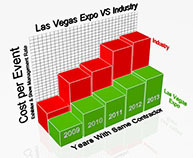 It’s what we’re there for; Las Vegas Expo Complete Show Services has an amazing ability to marshal resources to solve your issues. 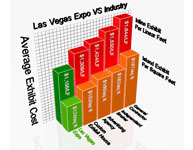 Whatever you need……be it last minute entire exhibits with graphics or specialized furnishings, accessories, shop repairs or just local knowledge to guide you, when LVExpo is the Exposition Contractor or EAC I&D firm on your event, we are there to help.